They came unannounced. Almost overnight they built a home and set up shop – like they had lived there for years. Stuart Slattery had become the unexpected host of Castor canadensis. 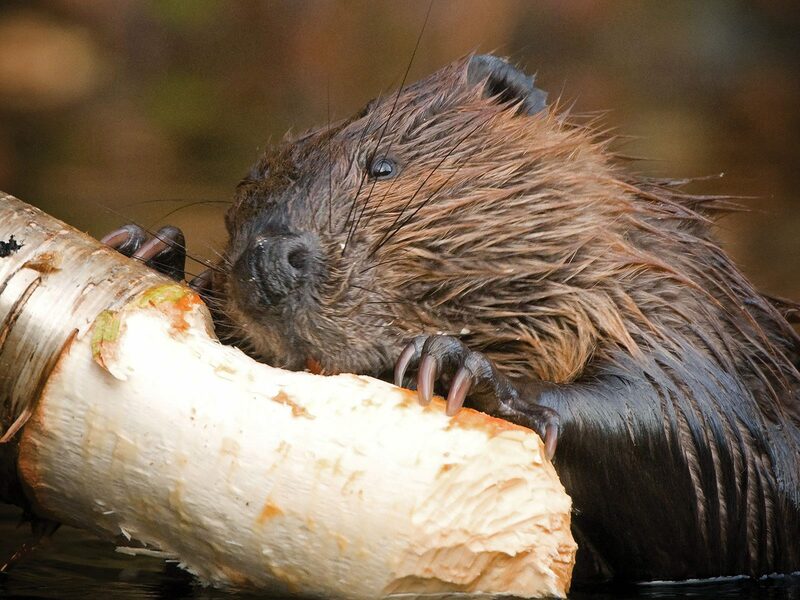 Stuart Slattery, PhD, knows something about beavers. 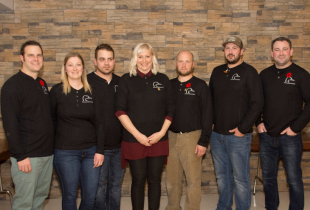 He is the lead scientist for Ducks Unlimited Canada’s (DUC’s) conservation efforts in Canada’s vast boreal forest, where beavers are important allies. And two years ago his rural acreage north of Winnipeg was invaded by a colony of hardworking, persistent beavers. The threat to his property was very real. Many Canadians, if they have any direct contact with beavers, see them as a nuisance. Overnight they can dam a culvert, flood your property, or kill your favourite trees. The other side of this coin, literally, is found on the back side of our nickel. 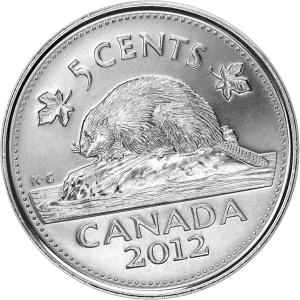 An image of North America’s largest rodent has adorned our five cent coin since 1937. It is a symbol connected to our national psyche. Beaver pelts were a mainstay of a fur trade that opened this country to European settlement. We’re told as schoolchildren that beavers are hardworking, industrious types – just like we’re supposed to be. And beavers are the single most important creature on Earth for the creation of wetlands, helping form many of the open water wetlands DUC conserves in the boreal forest. “This amazing creature is an environmental engineer. It is a keystone species that can change a small creek into a flooded environment that has tremendous biodiversity,” says Slattery. There are few species that can fundamentally alter the landscape the ways beavers do. Despite nearly eradicating them during the heyday of the fur trade, North America’s beaver population today has been conservatively estimated at between six and 12 million and growing. That’s good news for DUC’s mission. Left to their own devices, beavers create wetlands with incredible efficiency, and readers of this magazine will know that wetlands are among the most biologically productive ecosystems in the world. Beaver ponds increase plant, bird and wildlife variety, improve water quality and moderate extremes during floods and droughts. Beavers, simply put, support hundreds of species. DUC’s first general manager recognized the importance of beavers almost 80 years ago. In a 1938 speech, Tom Main called for the reintroduction of beavers to the Canadian boreal landscape. At the height of the Dirty Thirties, Main proposed setting aside blocks of land as game preserves. Restored beaver colonies, he believed, would help return water to the forest. As the history of this organization unfolded, Main’s idea never took hold. 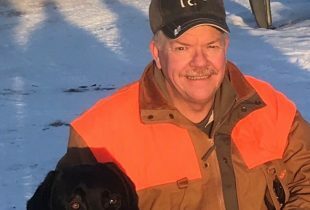 But Bruce Batt, PhD, Ducks Unlimited Inc.’s former chief biologist, says recognizing the role of beavers in the maintenance of waterfowl populations still holds water. Slattery believes the balance between benefit and bane lies in recognizing the roles beavers play in our ecosystem. In the sparsely populated boreal forest, they are pivotal in establishing essential wetlands. But even there they can end up in the wrong place at the wrong time, damaging infrastructure such as roads. 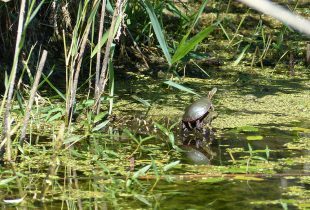 Beavers have compromised many DUC wetland projects in southern Canada, much to the chagrin of conservation staff. When beavers do become a nuisance, there are options that can be considered. Beaver bafflers are systems that control water levels of a dam while tricking the occupants into believing everything is OK. Specialized fencing can protect valued trees from enlarged incisors. Sometimes, however, lethal removal is the only option. As a biologist, Slattery marvels at what these creatures can do. As a homeowner, he worries about flooding and the destruction of his trees. Several attempts at breaking down the dam failed. The residents simply rebuilt it overnight. The rural municipality sent in a trapper because they were also flooding the road. The rodents soon learned to avoid the traps. Eventually, it seems the beavers tired of the game. As of last fall they were gone from his property. And now Slattery is waiting anxiously to see if beavers move back this spring – a man deeply immersed in the ongoing complexity of this most Canadian of relationships.